Have a child in your household who loves big trucks and machines? This John Deere inspired printed tractor wall decal will make the perfect addition to their bedroom or playroom! 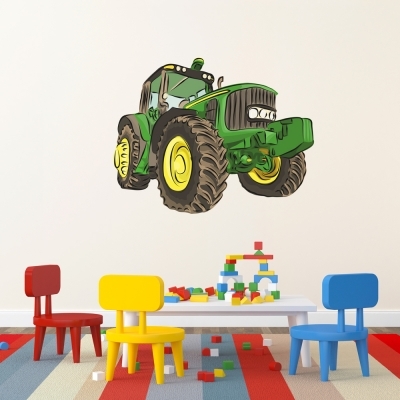 Shop this tractor wall sticker today.